The game is far from over when you become Alola's Champion. Below is a list of things left to do in the game. Most are covered in further detail in the Endgame section of our complete Walkthrough. Be sure to also check out over in-depth walkthrough of available Daily Activities! After becoming Champion, you will be able to wear Burgundy and Violet contacts in your eyes, you can dye your hair Wine Red and White, and you can choose the High pigtails (girls) or the Long and tousled (boys) hairstyle. Furthermore, you will be able to buy a Skull Tank from the Team Skull Grunts inside the Pokémon Center in Po Town. After defeating the Pokémon League, you gain access to Poni Grove, located northeast of Ancient Poni Path. From there on there are even more areas still left to explore, more Pokémon to catch, and more Trainers to battle. Going back to some areas you've already visited before can reward you with new items. Below are those listed that only unlock after becoming the Champion. Go to Secret Lab A to receive DNA Splicers, a Prison Bottle, and a Soul Dew from an Aether Foundation Employee. You can defend your title as Champion by defeating the Elite Four again, after which there will be a challenger for you sitting on the Champion's throne. This is often a character you've met previously during the game. When leaving your house after becoming the Champion, a man outside will give you an Enigmatic Card. It tells you to meet someone in a guest room in the motel on Route 8. Go there to start a quest which involves catching the Ultra Beasts that Lusamine set free on Alola. You must be wondering how to register Cosmog and Cosmoem in your Pokédex, after catching Nebby as a Solgaleo/Lunala. Luckily, there is a second Cosmog to be found in the game. Wait for it to be night in Sun or day in Moon, and make sure you have your version mascot (Solgaleo or Lunala) in your party. Travel to the Altar of the Sunne / Moone in Vast Poni Canyon and go through the dimensional rift. Now travel to the Lake of the Sunne / Moone on Ula'ula Island and walk to the lake to get the Cosmog. You don't have to fight it, it will immediately join you. To get Zygarde Complete Forme, you have to collect all 100 Zygarde Cells and Cores. If you haven't managed to find them all yet, you can use this list of all the locations to quickly find those you missed. Once you have found them all, go to the trailer on Route 16 (Ula'ula Island) to create the Complete Forme. To find them you can use our list of locations of all Z-Crystals and all TMs. If you want to breed Pokémon, getting the Oval Charm will save you a lot of time, as it will increase the chance of getting an Egg. To get the Oval Charm, go to the GAME FREAK office in Heahea City (Akala Island) and defeat Morimoto (the veteran on the left of the room). Completing the Alola Pokédex is of course a reward in itself, but it will also get you a nifty item: the Shiny Charm. Having this item in your bag will increase your chance to find or hatch a Shiny Pokémon. To get the item, obtain all Pokémon in the Alola Pokédex (except Magearna and Marshadow) and then speak to the game director in the GAME FREAK office in Heahea City (Akala Island). 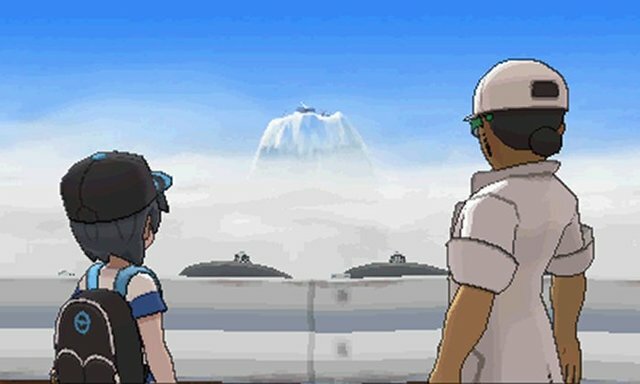 Now that your Pokémon are (close to) level 50 or higher, you can fight in the Battle Royal Dome on Royal Avenue (Akala Island). You start by battling in the Normal Rank, and can challenge a higher rank after winning a battle in the previous one. There are four ranks to defeat and after winning the Master Rank, you get the Battle Royal Master Ribbon and unlock the above-mentioned Idol battle style. Participating in a Battle Royal also rewards you with Battle Points, which you can use to buy items in the Battle Royal Dome and at the Battle Tree. After exploring the rest of Poni Island, you'll gain access to the Battle Tree. Here you can battle against strong NPC's in Single, Double, and Multi Battles. A Super version of each format is unlocked when you first beat the Battle Legend for the format, such as Super Single Battle and so on. By winning battles you are rewarded with Battle Points, which you can use to buy items at the Battle Tree and in the Battle Royal Dome. In Super Battles, you also get the chance to fight Special Trainers, which are characters that appeared during Pokémon Sun & Moon or previous Pokémon Games. To get the Pokédex completion stamps, you need to talk to the game director at GAME FREAK in Heahea City.